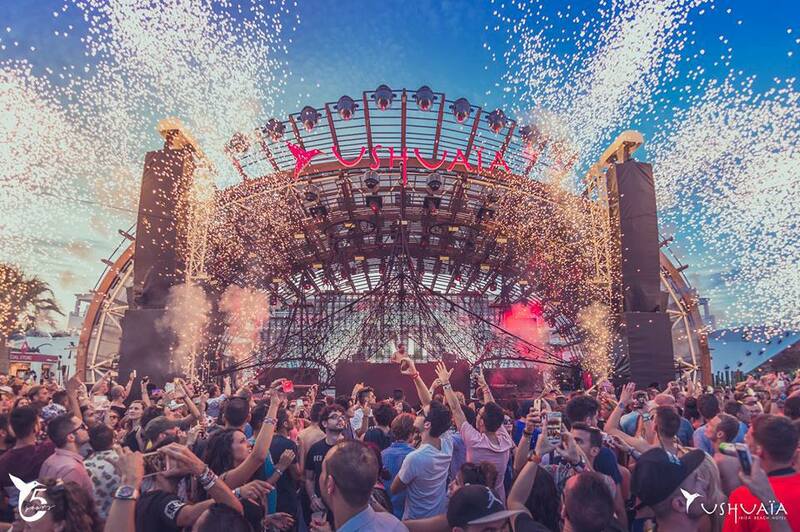 Ushuaïa Ibiza Unveils First Residency For 2019… Can You Guess Who It Is? Ushuaïa Ibiza can be said to be one of the best clubs in the world, and if you’ve seen the place, I’m sure you would agree. The venue is known for being one of the grandest beach clubs in the world. In addition to all of this, they also have some of the best residencies on this side of music. Earlier today, the first Ushuaïa Ibiza resident(s) were announced, and they happened to be none other than Dimitri Vegas & Like Mike. The duo consists of real-life brothers, Dimitri Thivaios & Michael Thivaios, who also hail from Belgium, just like Tomorrowland. This last tidbit is a bit important. This is because their Ushuaïa Ibiza residency will formally be known as “Tomorrowland presents Dimitri Vegas and Like Mike“. This is a continuation of their residency at Ushuaïa Ibiza from last year, which originally started in 2017. “Tomorrowland presents…” will be a bit similar to their Garden Of Madness shows held around the world, only better. The 2019 edition of “Tomorrowland presents Dimitri Vegas & Like Mike” will see the residency head in a new direction. This is because the stage production will be taken to a whole new level in honor of Tomorrowland’s 15’th anniversary. Their debut 2019 show will take place on June 18’th. It will then take place every Tuesday until the 24’th of September. If you’re unfamiliar with the location of Ushuaïa Ibiza, it is located in Playa D’en Bossa, Ibiza. Be sure to get your tickets here, see you then.